Miami FFA instructor David Avellan DEFEATS Rener Gracie, who is the Grandson of Gracie Jiu-Jitsu creator Helio Gracie and Nephew of UFC Legend Royce Gracie, by a score of 13-7 in what was considered to be an upset… But we at the Freestyle Fighting Academy (FFA) don’t see it as an upset. We already knew what the result was going to be. The Freestyle Fighting Academy, ran by Marcos Avellan and David Avellan, has been Florida’s BEST KEPT SECRET for a long time. It wasn’t until the last three years that the FFA instructors decided to start traveling to take their skills on the road did people outside of Florida here about them. Now the entire WORLD knows about FFA. At the Ultimate Submission Showdown, held by UFC creator Rorion Gracie, David Avellan faced Rener Gracie in a NO TIME LIMIT match that would solidify the FFA as one of the TOP academies in the WORLD. No one gave David a chance against Rener – who is Rorian Gracie’s son. Rorion is the person responsible of bringing Gracie Jiu-Jitsu to America and ultimately the world. When the match began Rener Gracie showed everyone that he has incredible skills… and who would’ve thought anything different as Rener has been training since a child. But on the other hand, it was FFA’s David Avellan that would show what heart, determination, and killer technique can do. After David escaped a few of Rener’s submission attempts like a magical escape artist, Avellan began putting on a guard passing clinic that had the crowd in amazement. David was dominating Gracie in their own tournament – in their own house! As David was approaching the 12 point mark (which would end the match) – the referee started trying to deny David his win by not rewarding the appropriate points. David passed guard again for what should have been the winning three points – but after holding his winning position for what seemed like 12 seconds (he only needs three seconds of control), the referee still did not give the points. So David, like a wizard, passed guard AGAIN but this time began counting out loud for the entire audience to hear, “ONE, TWO, THREE, FOUR!” At this point, David could not be denied and was FINALLY awarded the win. Click Here To See A Full Tour Of FFA and Testimonials From Happy Students! Its 30 days free – no risk, no obligation! Nothing to sign, no commitments! Call us today to setup your first free introductory private. Our number is 1-888-FFA-GYMS (1-888-332-4967) and any of our staff can setup your appointment. The private lesson is with one of our instructors who have years of training and experience. In the private, we explain what we teach and go over some of the basics. After the private, we sit down, go over our different programs, and develop a program that works best for you. We have students of all sorts of backgrounds. Some of our students are here for self-defense, some are here for competition, some to get in shape – and some just for the heck of it! Anyone can do our classes. You can be in your forties, you can be short, you could be overweight – it doesn’t matter! As mentioned earlier, we will develop a program that best suits you. As a student at Freestyle Fighting Academy, you will accomplish your goals. Remember, absolutely no experience is required. We have helped many people just like you accomplish their goals – call us now and setup your first free introductory private so that we can show you how. Come and try out the best FREE trial in south Florida! Presented to you is the best free trial in MMA. Miami has many MMA academies, but none of them have a 30 day free trial. With a 30 day free trial if you do nothing, you are definitely doing the worst thing. Please call right now, it will be the best decision you have made today. Thank you for taking the time to hear out my offer, I am looking forward to helping you. P.S. If you read ALL this stuff and haven’t called or chatted with us to make an appointment… what are you waiting for? You owe it to yourself to at least join our email list or our cell text list… Otherwise you just wasted your time. Scroll down to join our email, text, and postal mail lists! Scroll down to join our email, text, and postal mail lists! Get weekly training tips in your email box from Marcos and David Avellan for free! We will also keep you updated on upcoming local fights, seminars, special events, and special offers. You will not get junk in your email – you will get useful information. Don’t believe us? Join our email list (which is private and can be unsubscribed to at anytime) and we will email you back a link to download a FREE instructional Video by Marcos and David Avellan! 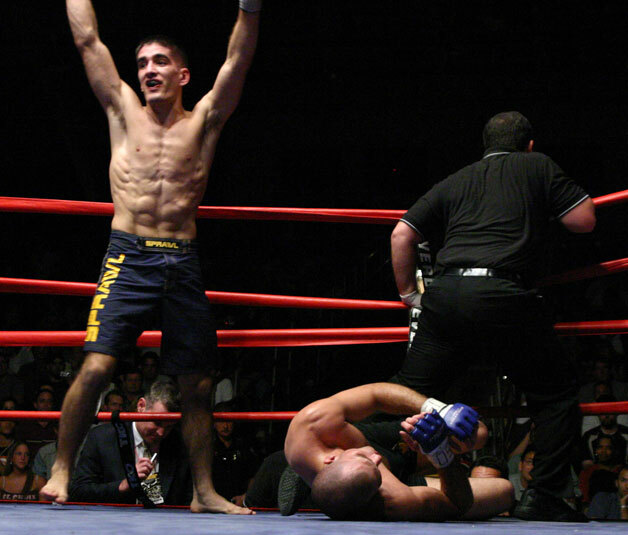 FREE Adult Mixed Martial Arts (MMA) Email Newsletter! shows, sponsors’ services & products, and more! We occasionally send out special offers – and each form of contact gets different offers. So the more ways we have of contacting you – the more different offers you can pool together! You haven’t joined FFA yet or even paid us a dollar – and we are already giving you hundreds of dollars worth of stuff! Not including our free trial and its corresponding free products – from the comfort of your home, you will be receiving TWO Videos ($50 value) and coupons that can save you hundreds of dollars! Give us a chance – you have nothing to lose! Please click only once and wait… may take about thirty seconds to process.